Remember parachute pants, Members Only jackets, leg warmers, Swatch and other accouterments of the 80's? Well, you aren't the only one if you answered "yes", because apparently Pebble not only remembers, but wants to revive that bygone era. 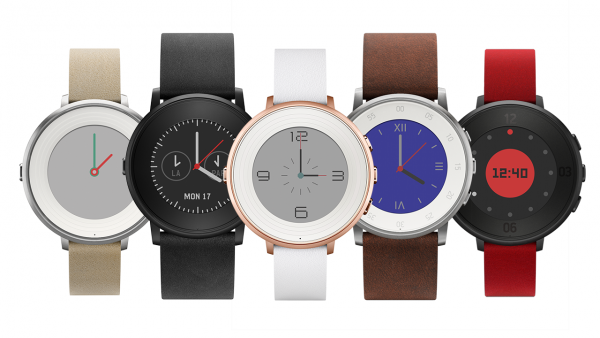 The company's latest offering is a round version of the new Pebble Time and it comes in multiple colors. The company claims it's lighter and thinner than any other smartwatch. Like its cousin it still sports an E-Paper display that is always on. The display allows for excellent battery life, at least in my experience. It does, of course, bring all of the usual features such as displaying incoming calls, texts and emails, saving you from fishing a phone out of a pocket or purse. Apps are available, allowing you to view weather, sports scores and more. The company brags that "At 7.5mm thin and weighing just 28 grams, Pebble Time Round is the thinnest and lightest smartwatch in the world". Buyers will be able to customize the watch based on color and band, as well as the library of available faces to choose from once they have the product. All of this will cost you $249 and you can reserve one now from the Pebble website, providing it's working, which has been an off and on proposition in recent days. However, the company promises "We’re excited to announce today’s news and are currently troubleshooting service issues at pebble.com. Sign up here and we’ll email you when the site is back up and running". The only question left is, "where's the Swatch Guard?"